Photography Visionaries profiles seventy-five photographers, with four pages devoted to each artist. The selection includes masters such as Henri Cartier-Bresson, Man Ray, and Robert Capa, and contemporary photographers such as Sebastiao Salgado, Andreas Gursky, and Nan Goldin. There are some notable omissions, though: the Vietnam War is represented by two Don McCullin photographs, though his contemporaries Eddie Adams and Nick Út are not included; there are very few 19th century images, and pioneers such as Joseph Niepce are missing; and fashion photography is limited to the works of Richard Avedon and Annie Leibovitz, while Irving Penn is excluded. Photography Visionaries, published by Laurence King, is similar to Taschen's Photographers A-Z, and both have their strengths and weaknesses. Photographers A-Z is more substantial (a hefty volume profiling 400 photographers), though its illustrations are rather small. Photography Visionaries is more selective, though it includes many full-page images. Photographers A-Z contains detailed individual bibliographies, while Photography Visionaries features concise essays explaining the significance of each photographer. 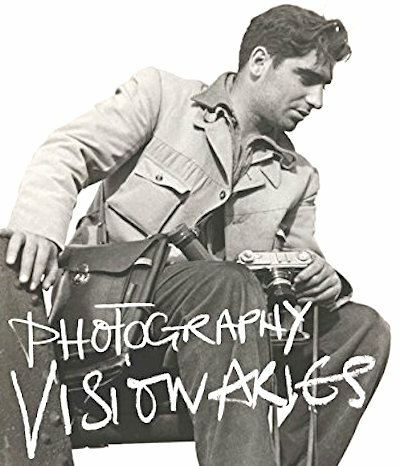 Mary Warner Marien, author of Photography Visionaries, also wrote Photography: A Cultural History (arguably the best general history of photography) and 100 Ideas That Changed Photography. The Photography Book, by Ian Jeffrey, is another A-Z of photographers, with each represented by a single photograph. The first history of the art of photography was Beaumont Newhall's The History Of Photography, and Naomi Rosenblum's A World History Of Photography is a more recent example. The Focal Encyclopedia Of Photography is a comprehensive reference.